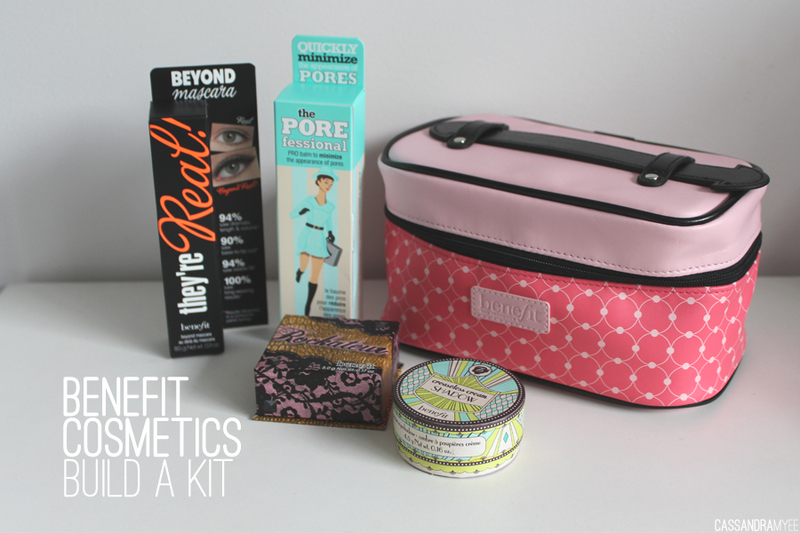 When I decided to finally order some Benefit products, the only right way to do it was using the Best Of Benefit, allowing you to pick and choose some of the most coveted Benefit products, all packaged up in an adorable makeup bag. You pick 1 item from 3 categories; Complexion, Cheeks, Eyes - then a free gift out of another 3 items. They throw in the free makeup case and you get to choose 2 samples all for USD $79.00. 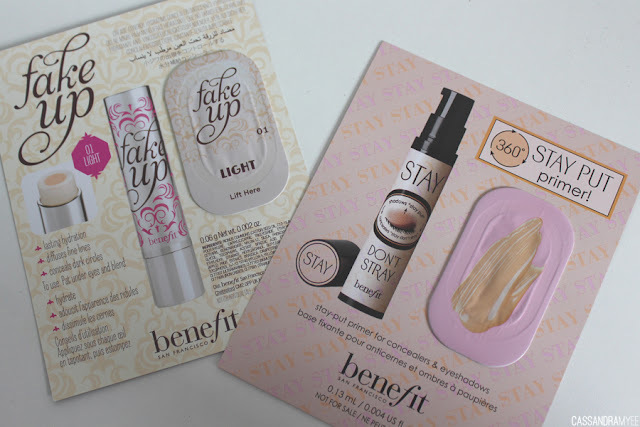 It baffled me why I waited so long to buy some Benefit products; since I received this a week before Christmas I've been using these products pretty much every day and have added a lot more Benefit into my makeup collection [a lot more posts to come!] Rockateur featured in my December Most Loved and They're Real was in my January Most Loved. The makeup bag is a great size, it is small but has good depth so you can pack it full to take all travel essentials in it. This little primer was one of the main products I wanted to try out, after hearing countless rave reviews and all my favourite bloggers and vloggers talk about it, I am so glad to now have it in my possession! 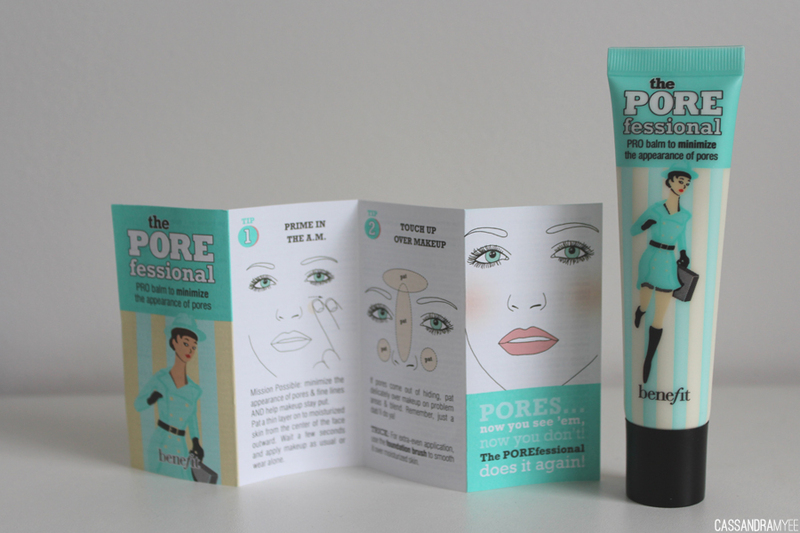 It really is a great primer and does wonders to even out the skin tone and fill in pores. 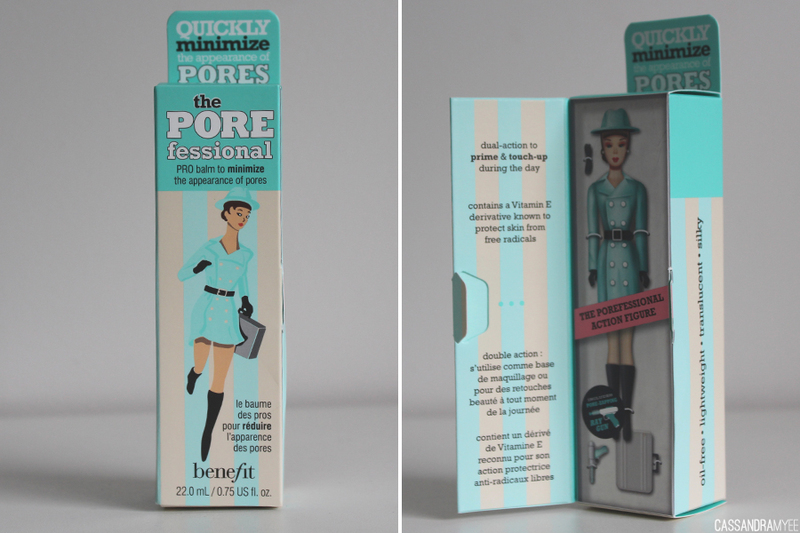 I have pretty large pores and find that product does settle into them very often. Using this primer and targeting the problem area of nose and cheeks, I really can see a difference in the size of them and it makes the skin much smoother, making foundation application a breeze over top. You only need a small amount, as it does blend out very well. 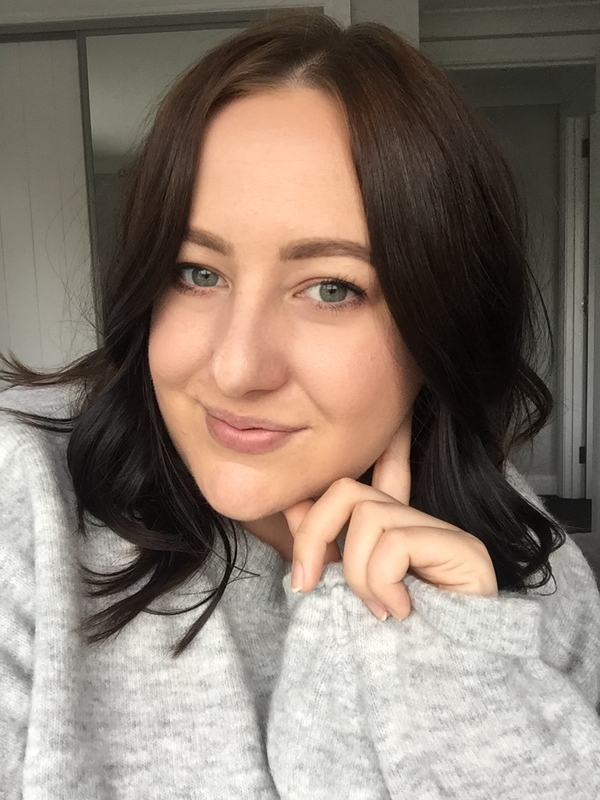 Unlike other primers, it is a light tan colour which also gives a hint of coverage, you can use the primer under your foundation or even over top during the day for touch-ups. 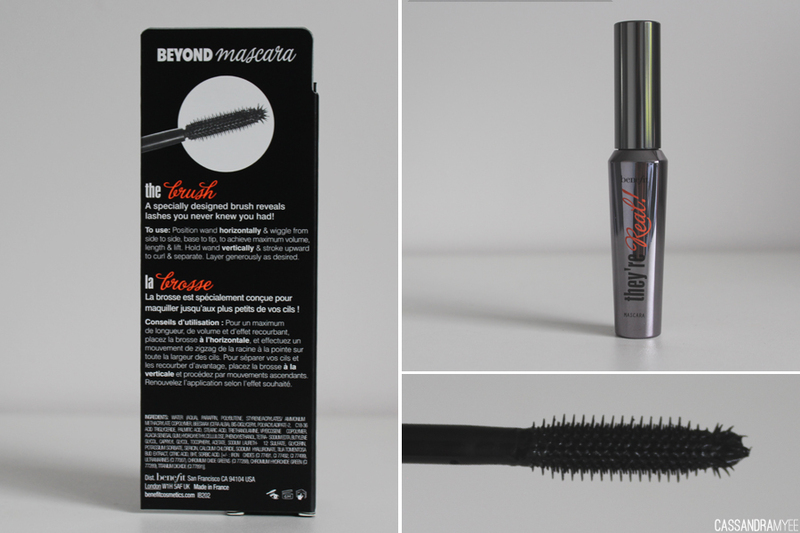 It really is a must-have / must-try product. 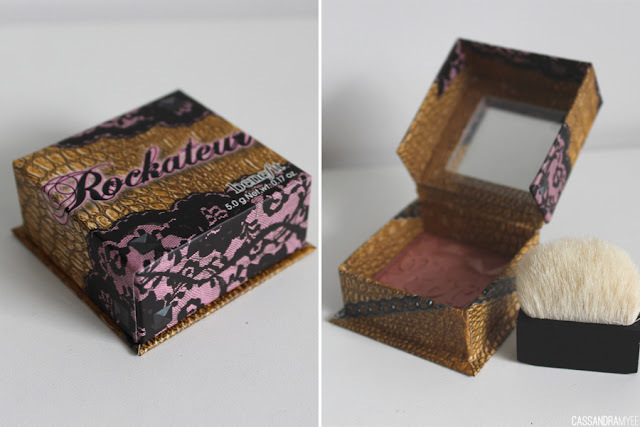 A recent release by Benefit that saturated blogs for weeks, was this little-boxed blush called Rockateur. It is well worth the hype and I have been reaching for it nearly every day as my go-to blush. 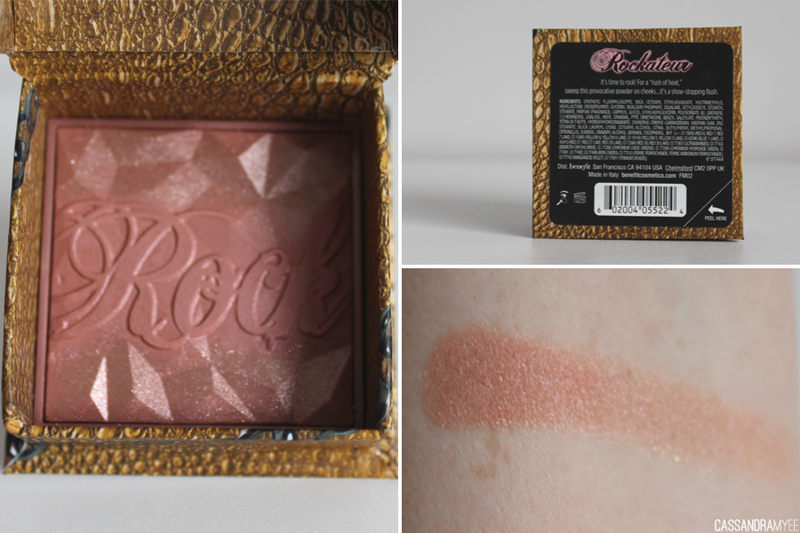 It is a pink/peach hybrid, with a subtle shimmer through it. 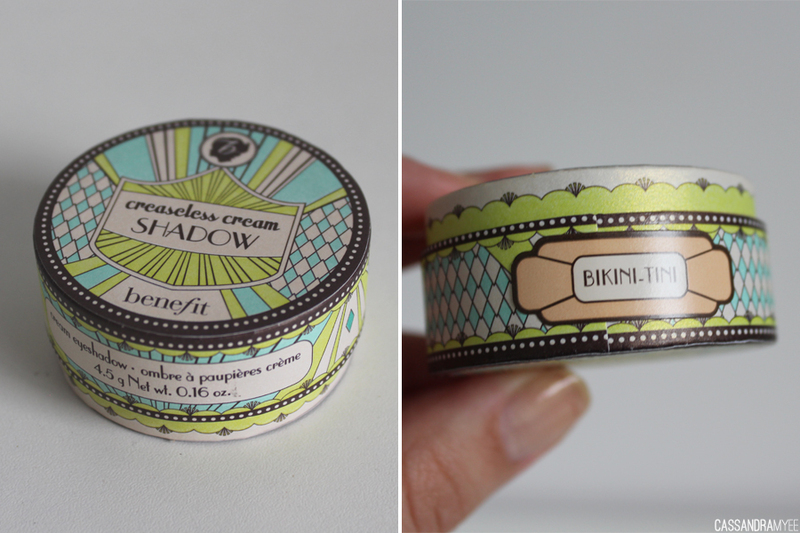 I also love the design of the blush inside [I have a thing for triangles and geometric patterns] and still, after lots of use, the design is holding up! 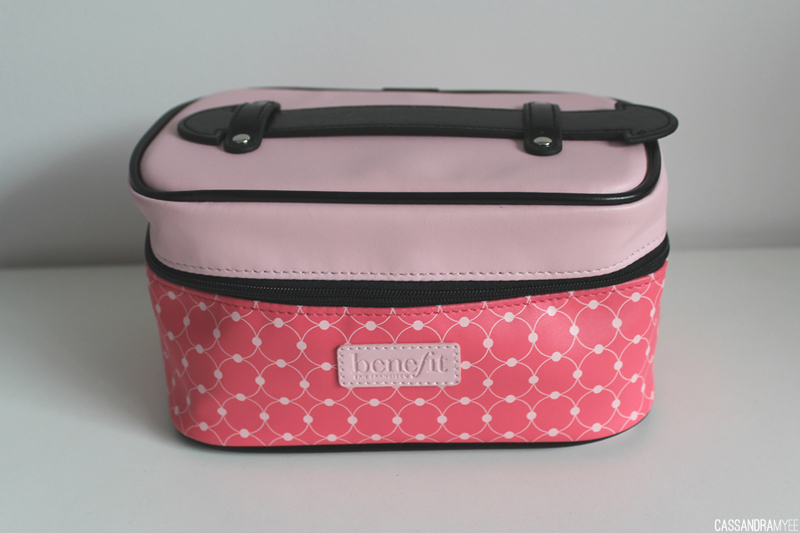 Along with choosing 3 of the top Benefit products, you also get to choose a bonus freebie! 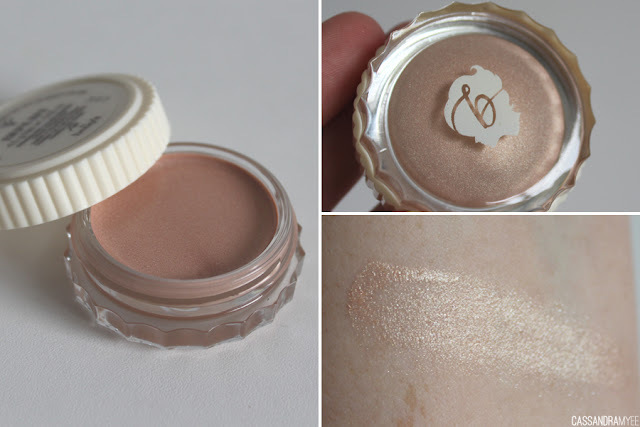 I went for one of their new creaseless cream eyeshadows in the champagne pink shade called Bikini-Tini. I knew I would get a lot of use of this as a base for shadows or on its own if I am in a rush. I was flawed by the gorgeous box it came in, you should get it purely for the wee box alone! The cream shadow is great as well, very creamy and pigmented but dries pretty quick and does last without creasing - as promised! 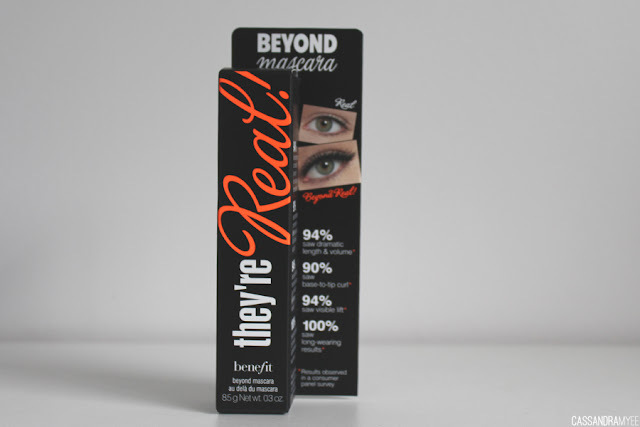 For $79 value, this is well worth looking into if it's your first introduction to Benefit Cosmetics (like it was for me), or if you want to restock on some old favourites, this is the way to go. You get $101 worth of product (not including the makeup bag and samples) and if you spend over USD $125 you get free international shipping, or pay $13.95 for shipping if you don't spend that amount. I'd love to hear your opinions on Benefit and what some of your favourites are, or products you have been hoping to try.